Spring is a season of new beginnings, making it the perfect time to plan a vacation to Hawaii. Whether you visit in early March or late May, there are exciting activities and events for families to enjoy. 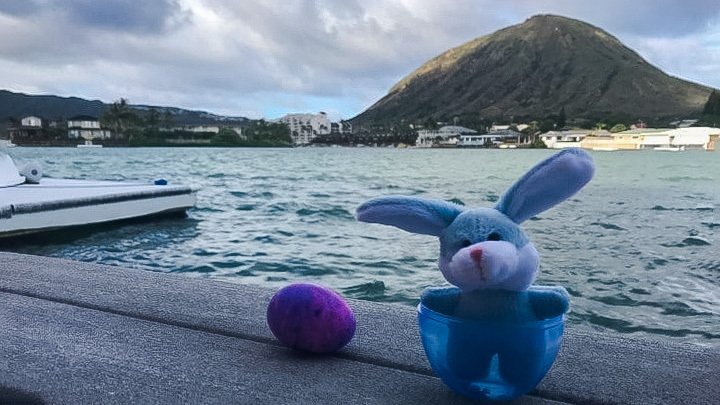 From Easter bunnies to egg hunts, see the below for what you can do during Easter in Hawaii. Vacationers on Oahu should visit the Hawaiian Theatre Center for an entertaining night on the town. During this time of year, events often include fashion shows, theatrical performances, orchestras, hula and concerts. There are also a number of other notable festivals during April and May. The Annual Sweet Onion Festival, Creations of Hawaii Pet Festival & Fair and the Waikiki Art Fest are examples. Another notable event is the Mauka to Makai Environmental Event and Exposition. Here, kids can learn about appreciating as well as protecting the ocean. Also in mid-April, there is the Art Night at the Salvation Army’s Kroc Center in Ewa Beach. At the center, you can celebrate spring by painting and by making prints as a family. As you can see, there’s lot to do on this island during Easter in Hawaii. March, April and May come with fairs, crafts, art nights and Hawaiian cultural events on Kauai. During this time, there are slack-key guitar concerts, Kauai Fashion Week, lei-making workshops and the Kauai Art Tour. Visitors to the Big Island can sign-up for family fun-runs and walking tours at Hawaii Volcanoes National Park. Hilo hosts The Merrie Monarch Festival right after Easter. This classic festival honors King David Kalakaua and Hawaiian culture since 1963. Here, people can enjoy authentic hula, music, Hawaiian foods and crafts. Those that attend will witness the world’s most prestigious hula dance competition. The East Maui Taro Festival near Hana highlights Hawaii’s use of taro along with food, entertainment and crafts. In Early April, Maui stages the Agricultural Festival and Celebration of Arts Festival. In mid-April, there is the Annual Haiku Ho’olaulea and Flower Festival showcasing Hawaiian flowers. Oahu is the place to be on Easter Sunday as there are activities, events and services galore. Kick-off the week by taking Easter Bunny photos at the Kahala Mall. Take the kids for an Easter Egg hunt at the Windward Mall or at Kapolei Commons. Here, there is face painting, arts and crafts, games and an egg hunt. For a greater challenge, go to Gunstock Ranch. This is where you’ll find 8,000 hidden bight candy-filled eggs, a petting zoo and pony rides. Or escape on the Star of Honolulu where you can savor an Easter Champagne Brunch Cruise. Spending Easter in Maui can involve many options. Hunt for eggs at the Lahaina Animal Farm. Cycle on the Bike Park in Makawao on the way to an Easter egg hunt. Or attend the Maui Mall’s Annual Easter Eggstravaganza, a must-do for children. Families can also book Easter brunches at most resorts and hotels. Kauai has Easter egg hunts at the local farmer’s markets. Also, there are family brunches at The Garden Café in Kilauea as well as numerous church services to attend. Molokai celebrates Easter at the Lions Club real-egg hunt. The King’s Chapel Molokai hunt has kids searching for thousands of eggs at Kaunakakai Park. A popular service is the Annual Easter Sunday Service at the National Memorial Cemetery of the Pacific on Oahu. Here, local and visiting Christians gather at sunrise to commemorate Jesus’ resurrection. Local bands and choirs accompany the service along with thousands of congregants. There are also numerous Easter services at various beach parks throughout the island. Other notable sunrise services are Maui’s Keawala’i Church in Makena and Hope Chapel in Kihei. Kauai holds Easter church services at over 20 locations. The Big Island celebrates Easter at Living Stones Church at Royal Poinciana as well as at other churches throughout the island. Molokai has Easter services at the Kualapu’u Community Center and at St. Damien of Molokai Church.